UPDATE: 30 May 2018 - You can now download a translated copy of the Official Guide to Holiday Rentals for Owners in the Valencian Community which contains all the useful links you need and explains your rights as a holiday rental owner. 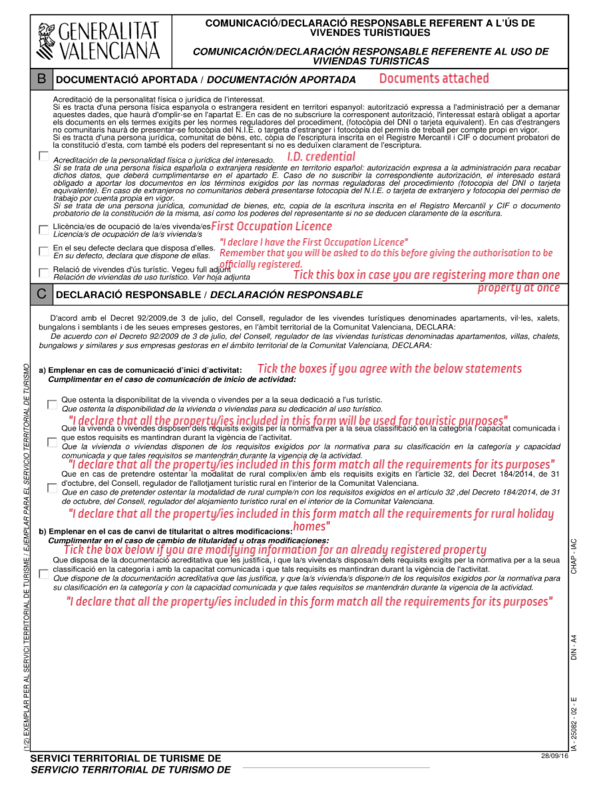 The original law (Decree 92/2009) covering Holiday rental licences in the Valencian Community was modified in January 2015, making it now compulsory for all types of tourist accommodation, including Viviendas Turisticas, to register their property with the Registro de Empresas, Establecimientos y Profesiones Turísticas (The Register of Tourist Businesses, Establishments and Professionals). Valencia is just another region to move towards legalising the holiday rental industry in Spain, with most other Spanish regions also introducing their own laws and licences. Once you have your Licence number (also called inscription number), it must be stated in all property advertisements. Failure to include your licence number in the property advert could result in a fine for the owner and the advertising channel. The decree states that it is compulsory for all holiday rental properties to be registered. We recommend that you start the registration process asap, as the decree could be updated at any time. If you manage up to five holiday rental properties, you must register each one individually. 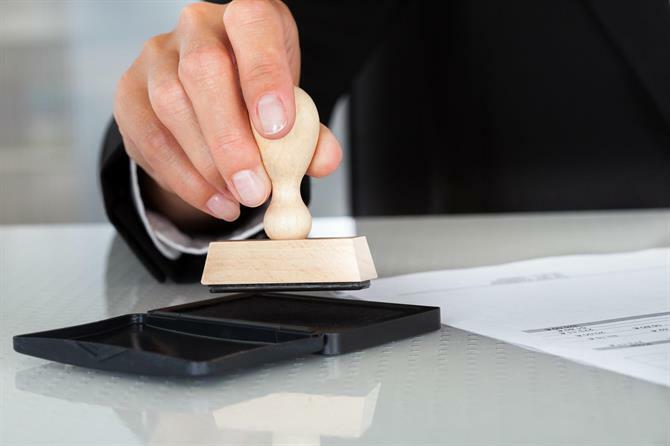 If you manage more than five properties, then you must register as an ‘empresa’ (business), rather than as an individual. You must include your general licence number in all property adverts, not individual property licence numbers. 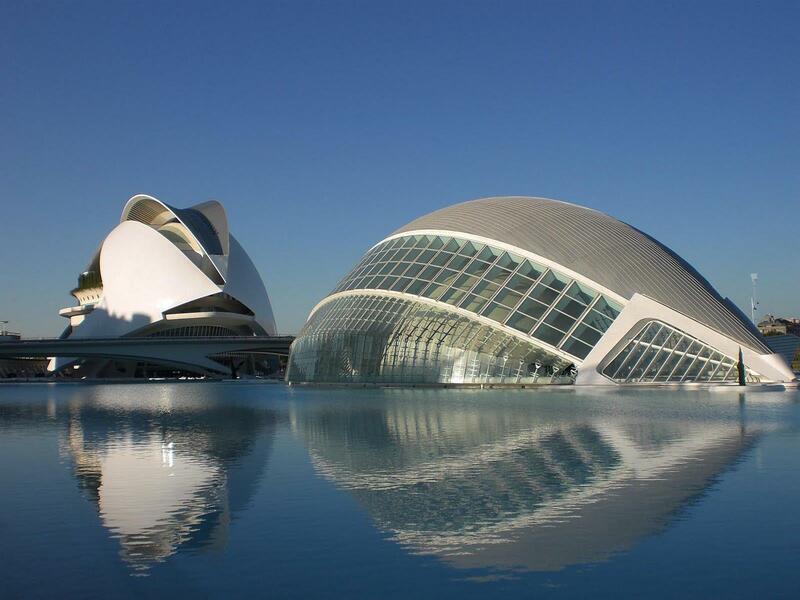 Important: Although Decree 92/2009 is the legal text that establishes the general regulations for holiday rentals in the Valencian Community, the Decree 75/2015 partially modified the 92/2009 Decree. 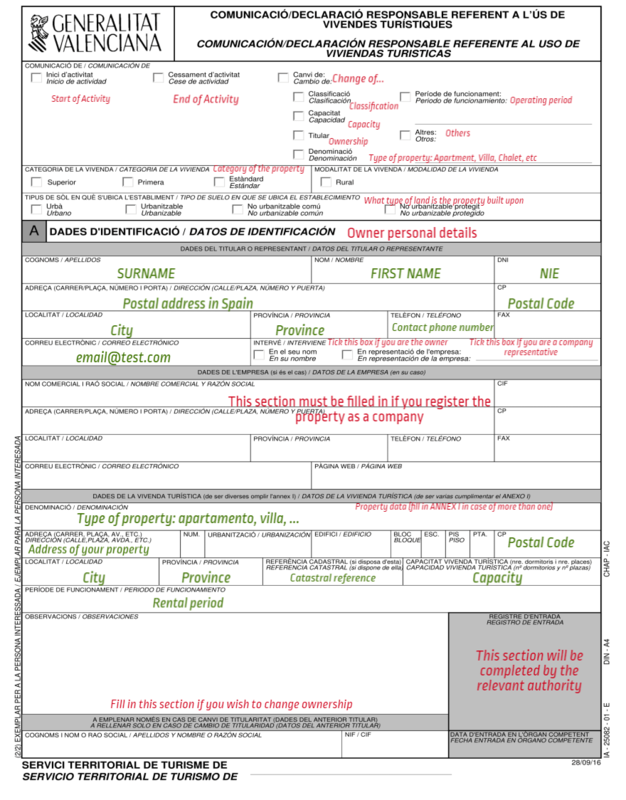 One of the most important changes made is that EVERY homeowner (even if you only owns a single holiday rental) must register its property at the "Registro General de Empresas, Establecimientos y Profesiones Turísticas". 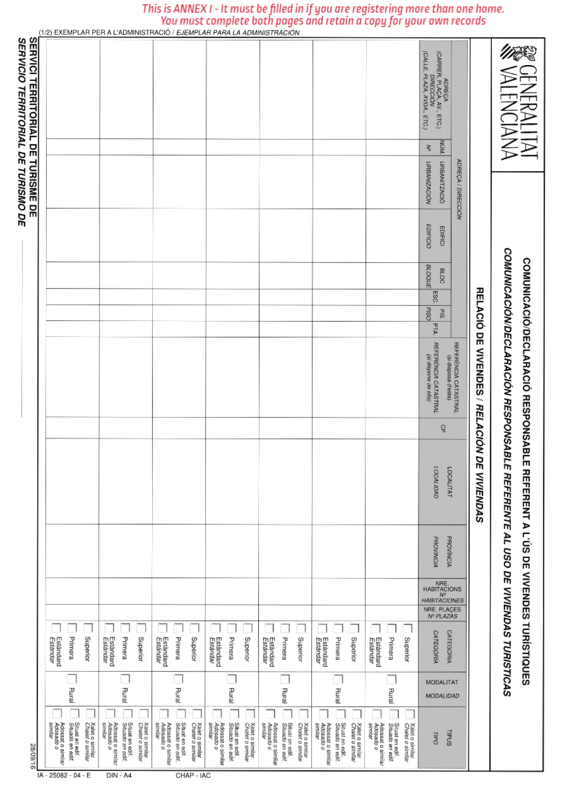 You can also fill out the application and take it into the post office, addressed to your closest Registro del Servicio Territorial de Servicio office. It's important to remember not to seal the envelope to allow the post office to stamp and date your application. Registrations are accepted for apartments, studio apartments, villas, chalets, bungalows and other similar types of properties. Your rental property needs to meet the technical requirements and standards, as set out within the decree, based on its category - Standard, Primary and Superior (see below for details of these requirements). Once the property is registered, you must include the licence number, category type and code (based on location, see below) in all advertising and promotion of the property. *The kitchen should be equipped with a hob with a minimum of two burners when the accommodation doesn't exceed 4 guests and a hob of three burners or more when it exceeds 4 guests. **There must be at least one bathroom including a bath with shower, washbasin and toilet and/or a washroom with a shower, washbasin and toilet. A studio apartment is defined as an accommodation consisting of a living/dining/kitchen area with separate bathroom (minimum of 24 m2 for Standard category). It is also obligatory to declare your holiday rental income. To find out more get in touch with your accountant, or visit the local Agencia Tributaria (Tax Office). We have written an article on declaring the taxable earnings and IVA from your Spanish holiday rental, this gives information on what you must pay, when and how. 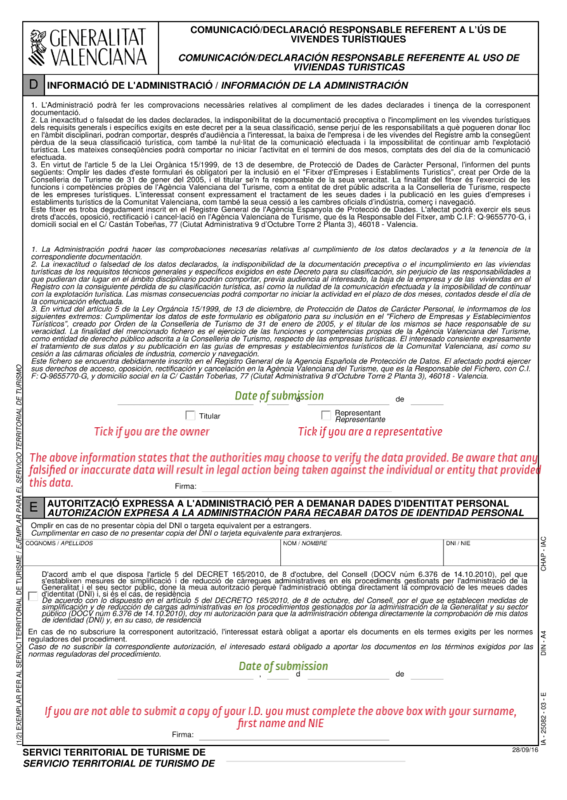 Below you will find the standard registration form (in English) for registering your home for tourist use in the Valencian Community Region. Here you can download the official version in Spanish.